How Can I Promote My Event Online? Whether events are happening at your business or you’re hosting an event for brand awareness, publicizing your event online is necessary to reach a wider audience and increase your ticket sales. As the expectations of the user changes, event hosts need to provide the same level of access and convenience for the users. The best way to promote your event online is by making the experience as easy for the user as possible. Here are a few ways you can better promote your events online. Your event should have a unique landing page that features necessary information that attendees may need such as registration information, itinerary, speaker bios, etc. Your homepage should also highlight the event with a banner or call-to-action that links to the landing page to make sure any visitor to your website has an opportunity to see the upcoming event. You should know better than to expect event-goers to visit your location to purchase tickets in today’s online world. 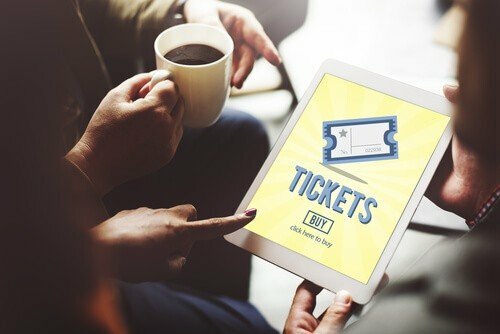 Make sure your event is well-promoted on users’ favorite websites and apps such as Facebook, Instagram, and Google, providing the extra convenience for users to purchase tickets within the app. You may have promoted your event throughout the week, but sending invitation email newsletters over the weekend gives users a chance to mull over the event in a relaxed mindset. By using an event-specific hashtag, users can learn more and spark conversation about the event. Create an official hashtag to use on social media and encourage attendees, speakers, and event sponsors to use it. Remarketing can be an effective strategy to promote your event to users who left the event page before purchasing a ticket. Create a custom audience to retarget users who may be more inclined to purchase a ticket to your event after being reminded of it.